Fitness marketing has evolved in accordance with the techniques we use to reach our audiences. Gone are the days of worrying about yellow page real estate and 9-5 marketing. Of course, your fitness marketing plan will depend considerably on your targeted audience. Nonetheless, there are several athletic club marketing tactics that have adapted to the future. Whether you have your own gym or you’re in the personal training game, it pays to be serious about your marketing plan. A whopping sixty percent of consumers will have already looked your fitness brand up online before ever calling or stopping in. Consumers have the power to see online reviews, ask their Facebook friends about you, or simply judge you based on the quality of your website. If you’re spending time and budget on a television ad that potential members might not even see, you might want to consider improving the digital elements that they can readily access (plus, better ROI). 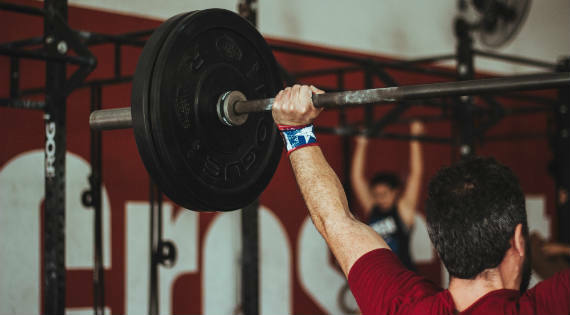 Inbound marketing in the fitness industry allows you to meet a potential client when they have actually begun to realize a need for your services. When you implement thoughtful inbound marketing strategies, you’re able to answer early stage questions to guide the individual through their buying process. This sets your athletic club or personal training brand as the authority in your space, as well as the clear choice when it’s time for your lead to make a decision. Having a well designed and helpful website is more important to marketing your gym than ever before; and, it’s not just millennials who are searching for you online. Ninety-six percent of baby boomers use search engines, and 92 percent shop for products online as opposed to physical stores. If your athletic club’s website is outdated or slow, you can be missing out on clients of all ages. Including compelling calls to action and short forms to fill out is also highly recommended to convert website visitors into qualified leads. Purchasing a gym membership online is not as crazy as it may sound. With 79 percent of Americans shopping online, it would only make sense to have the option of purchasing a membership or personal training package on your gym’s website. Think of your site as a virtual salesperson. Implementing sleek e-commerce capabilities into your website will create a seamless transition for those clients who would rather buy online. Your website could tackle all of the steps in the buyer’s journey (awareness, consideration, decision) without hiccup. Maybe a qualified lead has already been in your gym, but wasn’t ready to pay out that day. If your fitness club’s website has e-commerce capabilities, she can take some time to consider, then sign up on her own time. If you don’t feel that your personal training brand or athletic club is ready for an e-commerce solution, being transparent about price on your website is the next best thing. You may be used to the old sales tactic of hiding your prices so that your sales team can inform visitors once they’re in your facility. Now, gym-goers are more apt to do their membership comparison shopping online, as opposed to visiting physical locations or even calling in. Plus, people will be able to find the information they need at any time, instead of waiting for regular business hours to call or visit. Developing two to four personas of your ideal clients is the first step in choosing which channels of communication you will use for marketing your fitness services. To do this, ask yourself some questions about the ideal candidate. Who are they? What are their hobbies? What do they do for work? The more you know about your ideal client, the better you can understand their behavior. Getting an idea of your potential clients’ behaviors will help in deciding which communication channels will be the most effective. Perhaps sending weekly emails is the best way to converse with your targeted persona during the day. Maybe Facebook updates will keep the communication flowing between you and a different persona. It’s completely likely that a combination of communication platforms will be the answer. Once you’ve determined the best communication channels to reach your audience, informative content for your social accounts and website needs to be created to display your brand and expertise in fitness. Outbound marketing methods for distributing content (i.e. cold calling and billboards) oftentimes prove to be time and dollars wasted. Target fitness-related queries that people could be typing into a search engine. By building your blog posts, social media material, and on-page content around relevant keywords, interested people should be able to find your website. Local search engine optimization (SEO) should be a priority whether you own an athletic club or are an individual instructor. When an individual is considering purchasing a gym membership, they will very likely search a query that includes a gym-related term and the city they’re in (i.e. fitness clubs in Baltimore). If you’ve claimed your Google My Business page, and have targeted relevant keywords throughout your content, your listing should appear when searched. 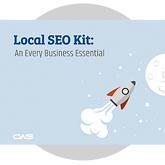 Not sure where your website’s local SEO stands? It’s essential to understand your current SEO condition in order to consistently show up in local search results for your fitness services. Fifty percent of consumers who search locally from their mobile phone visit a location that day, and a whopping 60 percent of adults use a phone or tablet to search for local product and service information. Tapping into this audience is no longer an option, but a necessity for the life of your gym. If Google doesn’t see you, you’re missing out on potential members. Luckily, we have SEO pros who can help you understand your website’s SEO performance for free! We’ll even throw in some next steps that you can take to improve local SEO. Click here to schedule your FREE SEO audit. Are you sending your trainers or front desk workers around the neighborhood to pass out flyers? Keep them where their insight and value shine - the gym! You know that retaining members is just as important as capturing new ones; so, let your staff do what you hired them to do. Besides, inbound marketing is ultimately more cost effective and meaningful to your audience. Whether you choose to go the e-commerce route or not, embedding a virtual tour of your facility can put you above your competition. Potential clients will appreciate the chance to see what you have to offer, and that will go a long way for you in the consideration stage. Sharing videos on your website and social media channels will give people a look behind the scenes and help to build member loyalty. Creating videos that show you and/or employees having fun will drive leads to want a piece of that positivity. Sharing videos that show your employees or clients being “real” can be a great refresher for an industry notorious for promoting the “perfect body.” People will relate and more willingly connect with a trainer or athletic club that isn’t trying to be flawless. Regular, informative videos can be a great addition to your club’s blog content. If you or your team have the capacity to consistently post educational videos on your website or Facebook page, it’s an excellent way to initiate a following of qualified leads. Not to mention, you’ll be a source of information for others in your field. Adding meaningful inbound marketing tactics to your fitness marketing strategy will help to successfully convert more leads into happy members and clients. While inbound marketing won’t get the thousands of impressions like traditional approaches might, it captures much more qualified leads. By understanding the bespoke inbound marketing concepts, you can optimize on every stage of the buyer’s journey and see more return on your investment. Fitness continues to evolve - so should your marketing objectives. G Suite and HIPAA Compliance: Are You Taking the Right Steps?